We have information you must know before you buy the RC. We have partnered with trusted dealers in your area to give you a great price on the new Lexus RC. 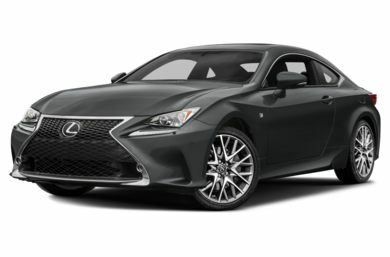 First things first: no, the Lexus RC coupe isn't a remote-controlled freebie salesmen give to overactive children tagging along with daddy and mommy on car buying weekend. It's instead something that's probably a bit more disappointing to the tots and a lot more tempting to the adults: a legitimately sporty two-door sports coupe. It might not have the same star power as a BMW or Mercedes-Benz two-door, but the RC certainly has the visual punch to make it a curbside celebrity and the performance to back it up, at least in V6 or V8 guise.